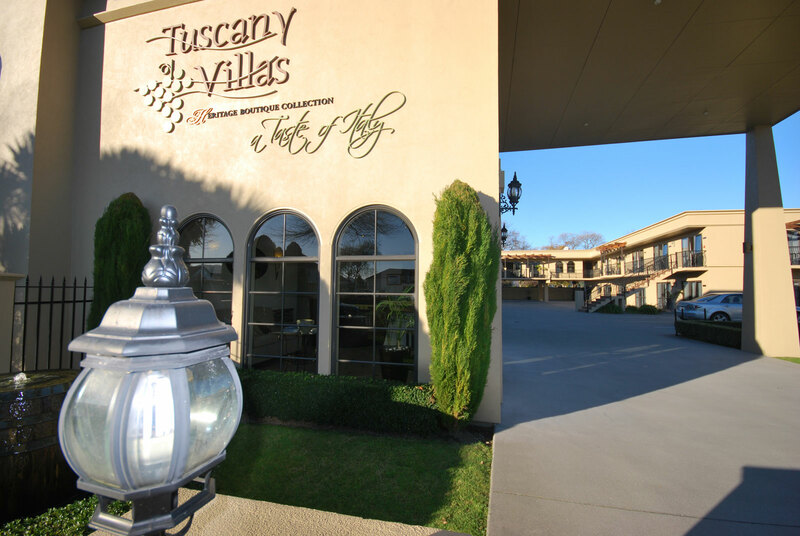 Tuscany Villas Rotorua, part of the Heritage Collection, Hotel and Conference Centre, offers guests tastefully appointed Rotorua motel accommodation close to all city attractions. A range of deluxe suites and up-to-date meeting spaces, place this luxury Rotorua accommodation property a step above the best Rotorua motels, perfectly suited for a romantic getaway for two, a holiday for the whole family or a business stay. 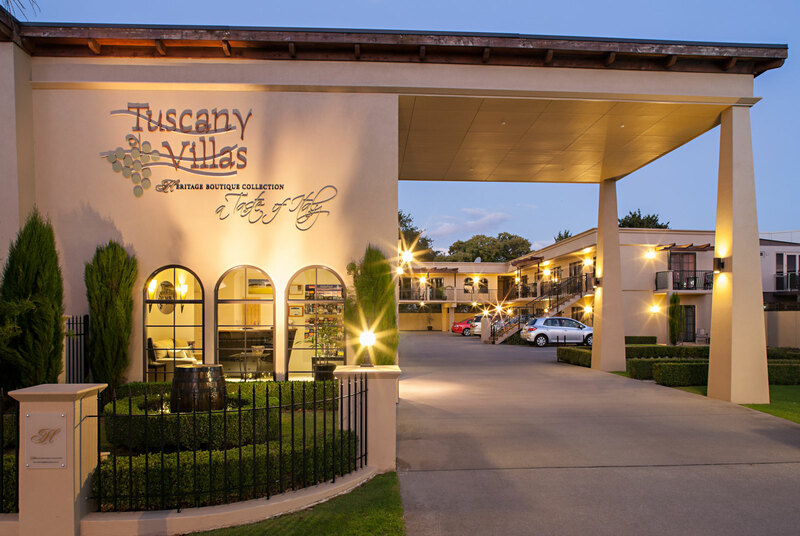 In the heart of town adjacent to the racecourse, Tuscany Villas Rotorua offers modern and well-kept suites, coupled with friendly, personal service on-site. Owned and managed by New Zealanders, who will do their utmost to ensure you enjoy your stay in Rotorua. FREE UNLIMITED WiFi Internet (Fibre), soothing spa pools and spa baths, SKY 50+ digital and ceiling fans are among the standard features in each of our Rotorua motel suites. All suites are non-smoking. Our Rotorua conference centre seats up to 40 people and is perfect for small seminars, business presentations, staff meetings, product promotions and staff interviews. You can hire all catering and other equipment on site at Tuscany Villas - we have everything you need for your next Rotorua conference or meeting. To view our special Rotorua motel accommodation packages, click here. For corporate Rotorua motel accommodation rates, contact us at Tuscany Villas. The world's only flying hovercraft ride.